I have always fancy drinking teas as it helps to relax my mind when work gets overloaded. Lavender tea is among my favorite after the Japanese rice tea. Of course, there are many benefits of flower tea. 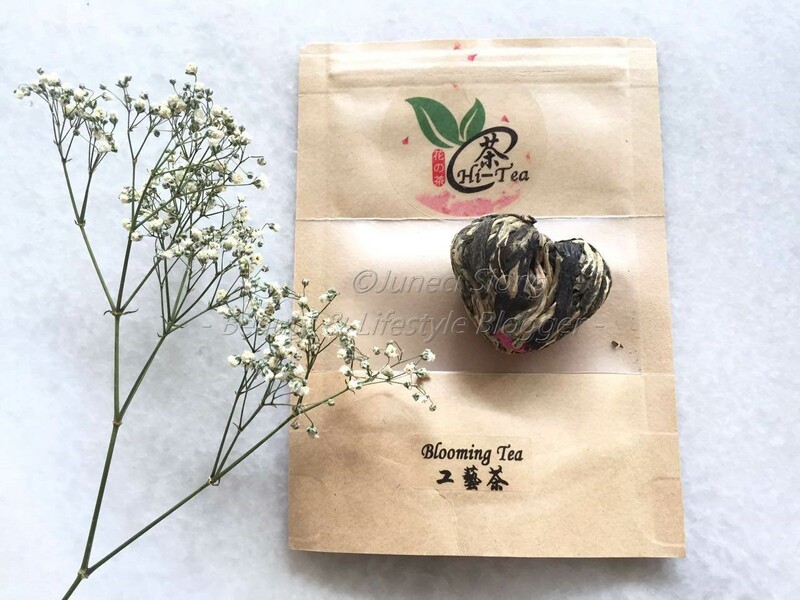 Besides having known for its beauty properties, certain flowers can aid in slimming process, anti-aging, stress-relief, boost of vitality as well as cancer prevention. It wasn't easy to look for loose flower teas in our hypermarkets and even if you could, very often they are not the type of flower teas that you're looking for. And they certainly don't come cheap. The products I am reviewing are in sample sizes (10gms). Of course, when purchased from their online store, it wouldn't be in such small quantity. Instead, most packs comes in 50gms (which depends on the type of tea you chose). What I like about the packaging is it is made of waxed paper. Made of recyclable material, you can help preserve Mother Nature after you've had your fill. 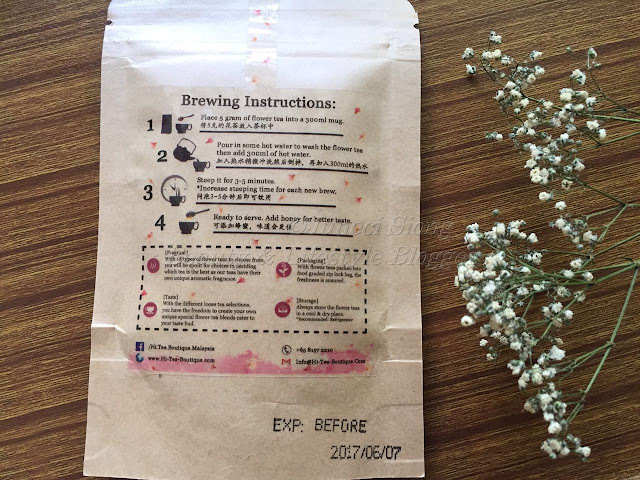 It also comes with a zip-lock seal to maintain freshness of the dried loose tea and should you accidentally spilled water on it, fret not. It is waterproof due to its waxed surface (Discovered that by pure incident), so not to worry. With the different loose tea selections, you have the freedom to create your own unique special flower tea blends cater to your taste buds. 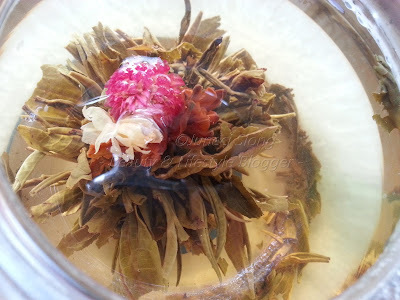 First time to flower tea? 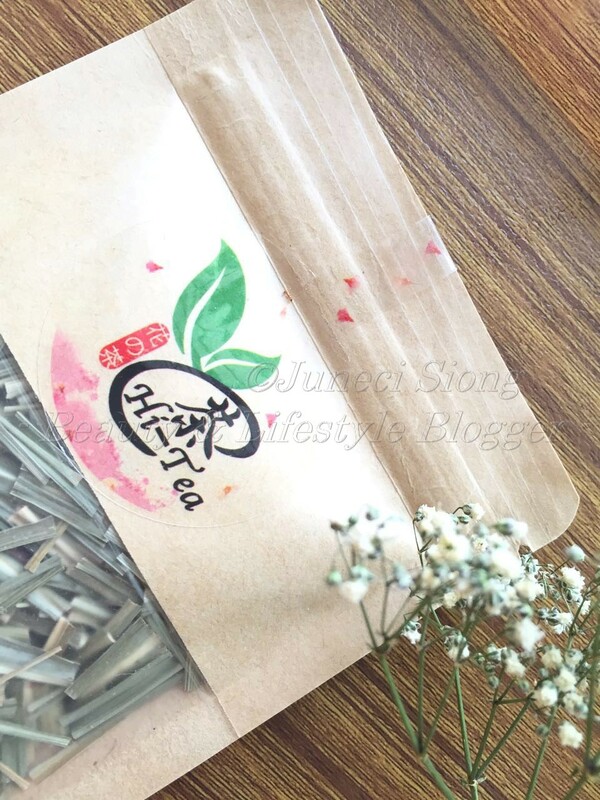 Each tea will have a short description on the website, stating the benefits, flavour, content weight and recommended combination of teas for best taste. Of course, it is always best to store the teas in cool dry places. 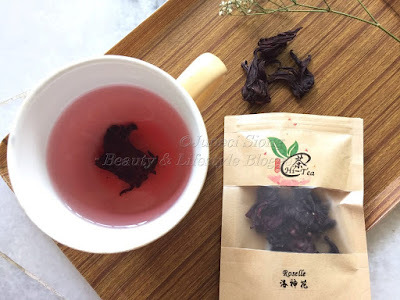 Unfortunately, the tea products are yet to be Halal Certified, being just dried flowers and fruits. So, to my muslim readers, do take note as Hi-Tea company are involved in vinegar and wine brewery. If you know how does Ribena taste like, this is almost similar with additional berry taste. I find this more refreshing, minus the sweet taste (Teas are supposed to be non-sweet to begin with but if you feel like it, honey would be a better alternative to granulated sugar). The combination of Hibiscus, French Rose, Herbs, Blueberry, Blackcurrants and Grapes in this BlueBerry Fruit Tea gives the more flavorable taste and is packed with vitamins, fruit acids& minerals, making it a popular tea selection among tea drinkers. I find the steeping time is pretty short, 2 minutes and 1 small tea spoon of berry tea is sufficient to bring out the beautiful tea color. For those who enjoys a slice of lemon beverage as detox, this is something you might like. Slightly sour with a tinge of bitterness (due to the lemon pith), this tea will make good change in your taste buds with additional of Vitamin C to boost immune system. Just don't put in too many slices. I find one will do just fine and some honey will lighten up the taste (I am not a sour taste liker). Steeping time 2-3 minutes. 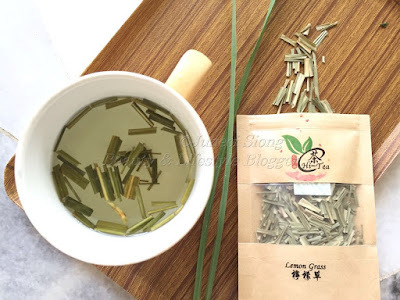 Lemon grass tea is something that I have been home-brewing all this while as my mum has a nice pot of them in the backyard. I find the taste is pretty mild compared to the ones I prepared, could be because mine is freshly plucked and not quite sure if oven-dried methods brings out the aroma. Anyhow, its is not too bad and works wonders in inproving circulation and digestion. In return, it helps to expel fluid retention, facilitating a slimmer lower body part. 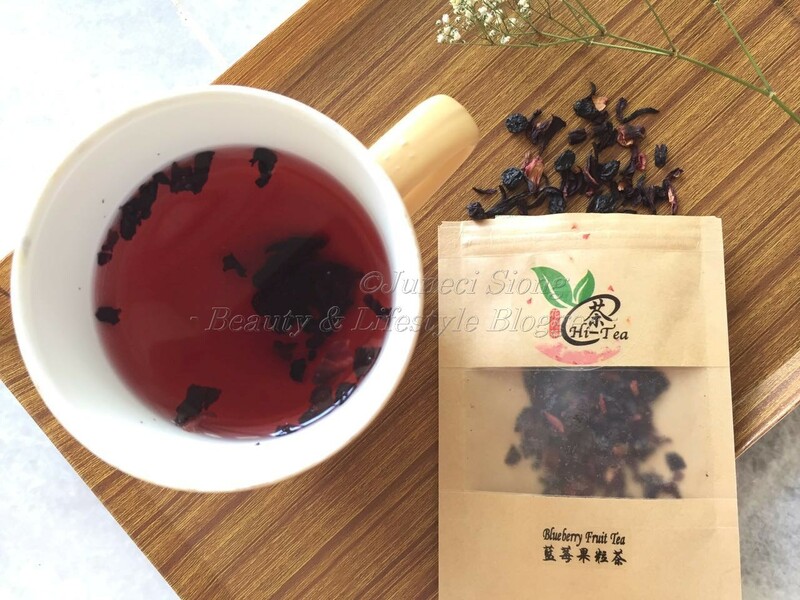 Here is the Roselle tea also known as Hibiscus Flower tea, the origin to Ribena beverage. Here is a tip: Serve it hot and it suddenly becomes Jamaican tea! Here are the reasons why you should include Roselle tea as part of your daily intake. Packed with vitamins good for our nervous & immune system, lowers blood pressure, cooling down the body (extremely helpful in our humid climate), strengthen bones and teeth, boost metabolism, helps to fight the Big C and slows down alcohol absorption rate which lessen the alcohol's effect on the system aka hangover. 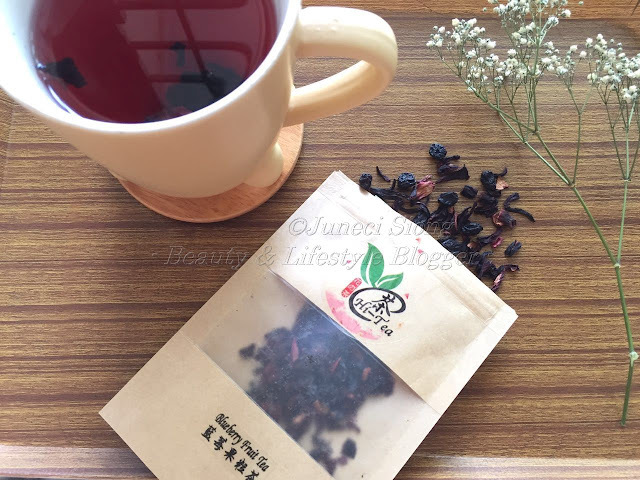 I need to mix 2 of the Roselle dried tea to give it the sufficient flavor. Here is my favorite of all, the Blooming Tea. 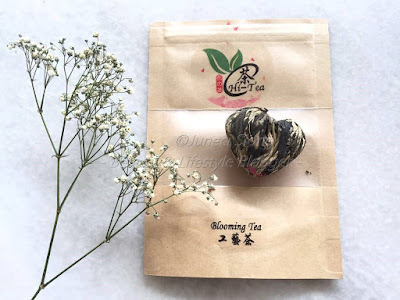 Blooming Tea is actually a Chinese method of wrapping different flower and tea leaves into a bulb (in my case, a cute little heart <3) which expands in hot water and unfurl into a full flower, No Joke. Steeping time took longer than I exected (more than 5 minutes) but the effect was magnificient. 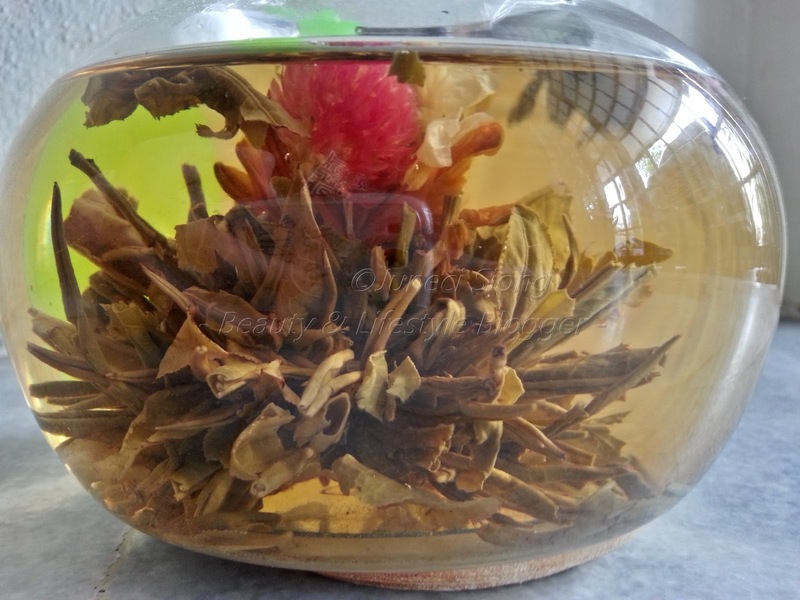 I didn't expect the tea to expand into some sort of 'flower plant'. Good thing I had the sense to steep this in a tea jug rather than a mug, as it can turn out to be of decent size XD. This tea is beneficial for lungs and can be specifically prescribed for Asthma patients. It helps in reviving energy, provides warmth, relieve stress and helps to clear lungs. What more, it also boosts the immune system, reduces blood sugar level and can be used to help reduce weight! I wished there is some way to order this tea but apparently it is not listed in their Hi-Tea's catalog. Maybe we need to contact them on their website. Seriously recommending this! Here is a short clip on how the Blooming Tea works. Overall, the idealogy is pretty simple and meets alot of my needs in tea searching. They managed to preserve the tea in its original taste without any preservative or coloring, so its safe for consumption of all ages. I can't tell you which tea is taste best as it all depends on your personal preferance but do take time to find your own favorite. After all, tea is one thing that can take your mind on a holiday when your body can't. Cheers to all tea lovers. 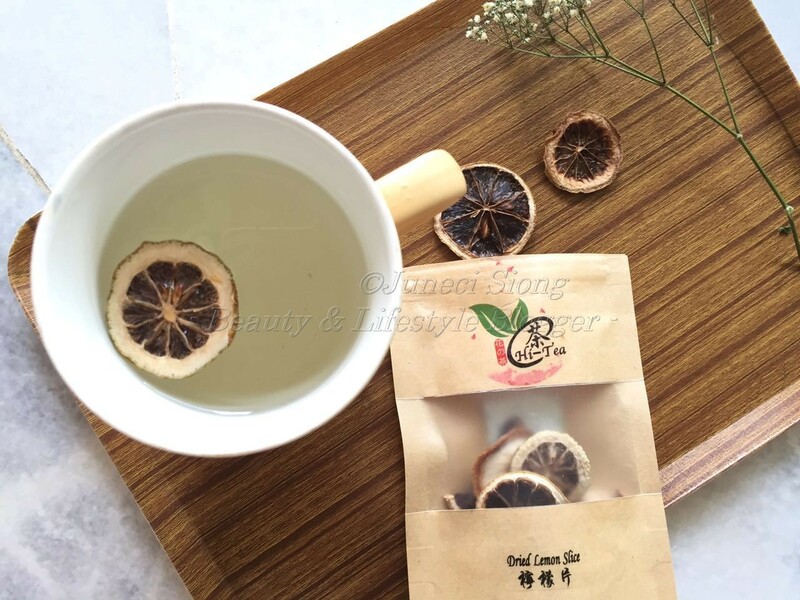 Hi-Tea is the fastest growing flower tea company in Singapore & Malaysia, having to supply the finest quality of flower tea, blooming tea & fruit tea to consumers and businesses. 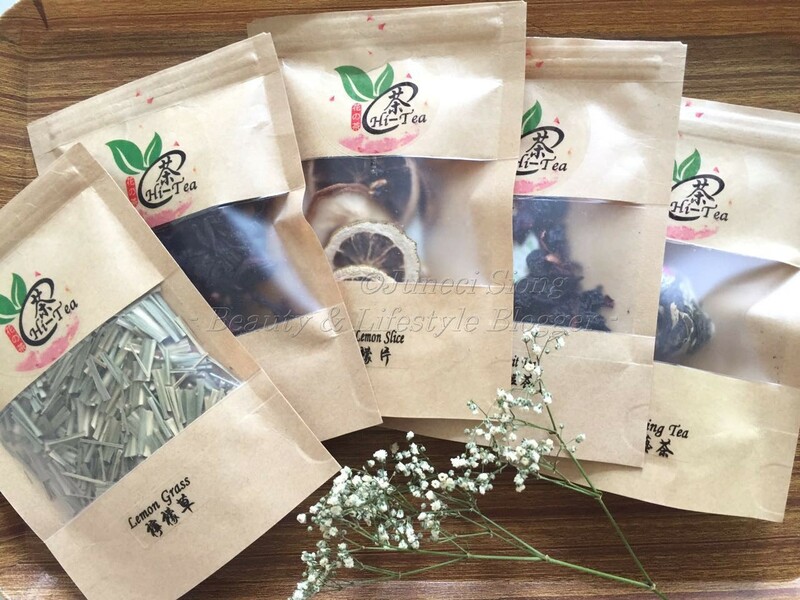 As of to date, there are at least 14 different types of fruit teas and flower teas available for individual purchase but more than 40 selections to meet business operational demands. 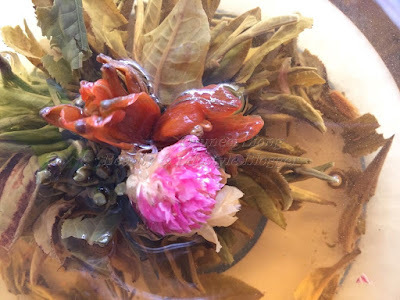 Besides doing wholesale/ supply, Hi-Tea also educates on flower tea blending, creating vinegar, wine, cuisine, soap and many others by using flower tea. High-tea is typically enjoyed by many and is a symbol to a luxirious lifestyle, which might cost alot. Hi-Tea are out to provide their customers with the finest, in the most pleasant manner as they value friendships made along their business growth. Hence, the meaning behind Hi-Tea branding (Short form of High-Tea and a way of greeting 'Hi' to everyone. Hi-Tea currently has a large number of independent distributors, reseller and retailers across Malaysia and Singapore.